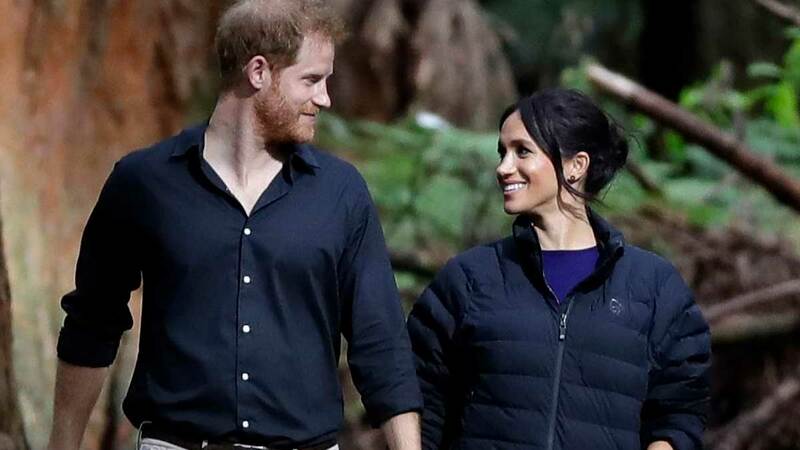 Prince Harry and Meghan Markle just wrapped up their first royal tour as a married couple, and the world watched in awe as they took on 76 engagements in 16 days after making a pregnancy announcement that basically broke the internet. Tired just thinking about it! Almost all of the pictures from the tour came from official photographers, royal reporters, or fans on the side of the streets. But now, royal watchers get a special glimpse into how Meghan and Harry saw the tour themselves. Royal reporter Omid Scobie tweeted this picture with the following caption: "At the end of our last tour engagement, Harry and Meghan walked ahead of their team, security and myself (who was the pool reporter). 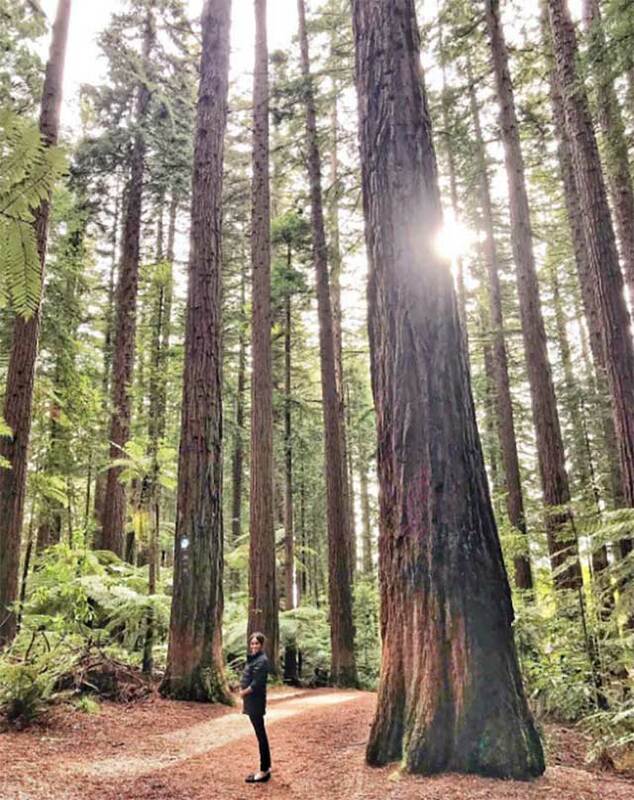 We were in the beautiful Whakarewarewa Forest and they wanted a moment to themselves. This photo, taken by Harry, was the result of that moment..."
.....I mean....I just....this photo is almost enough to make you tear up. It's so damn cute. There's a lot to discuss here so let's dive in. 1) It's a shame Harry doesn't have an Instagram because this is the stuff influencers can only dream of. 2) Meghan looks beautiful, as always, holding her bump in the cutest way. IDK how anyone can make a puffy jacket look that good but here we are. 3) The light in this pic is practically magical, as if whatever god you believe in said, "I"m gonna make this lit." The couple also gave a statement to conclude their tour: "Thank you New Zealand for the most wonderful week of our tour. It has been a privilege to meet so many friendly Kiwis. Australia, Fiji, Tonga, and NZ—we leave feeling inspired and reminded of how every single one of us can make a difference."